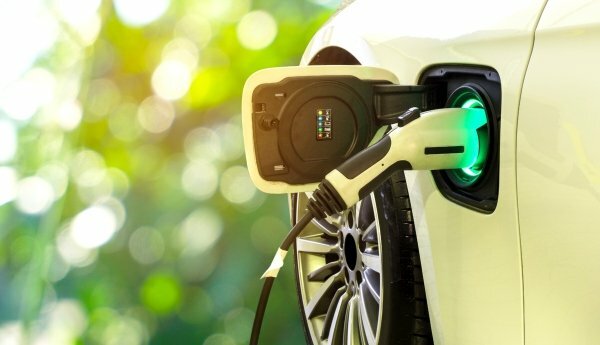 Thailand’s government will be scraping the tax imposed on full electric vehicles (EV) from 1 January 2020 to 31 December 2022. The move aims to encourage full EV manufacturing and reduction of carbon emissions. However, the tax waiver will only be offered to projects that were awarded promotional privileges from the Board of Investment (BoI). 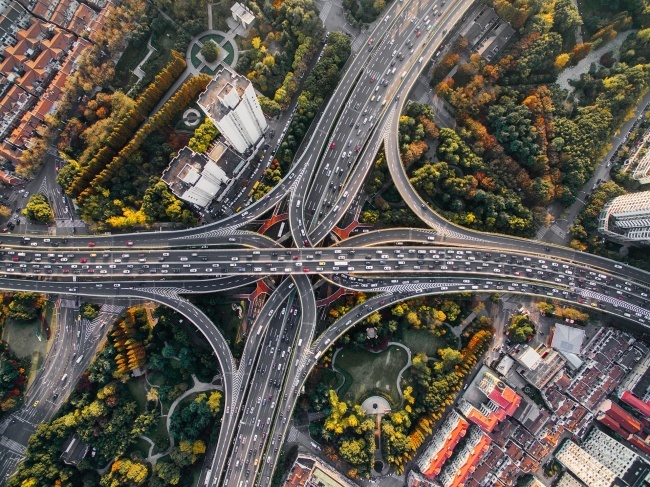 Currently, tax for BoI approved investment projects for manufacturing full EVs is two percent, while non-awarded BoI incentives are subjected to eight percent tax. The tax waiver also symbolically shows the government’s support for building full EVs. Under Thailand’s S-curve policy, EVs have been identified as a targeted industry for driving economic growth. 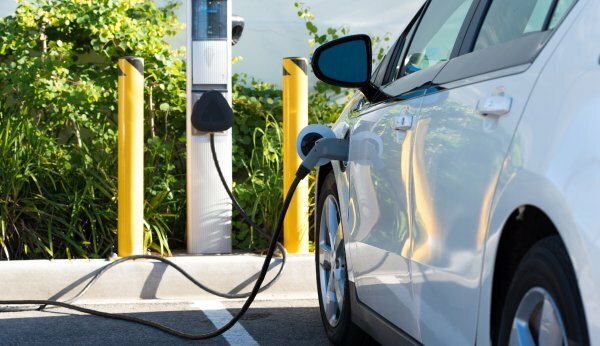 Finance Minister Apisak Tantivorawong said the government hopes this would speed up manufacturing of full EVs. The government will also be cutting tax levied on vehicles depending on their carbon emissions. For example, pickup passenger vehicles that have CO2 emissions less than 0.005 PM will be taxed at three percent instead of the current four percent. Mr Apisak said that this would reduce emissions and promote a better environment. Furthermore, tax cuts will encourage manufacturers to increase diesel engine development to reduce emissions. French investors in the aeronautical industry have expressed confidence in Thailand’s push to become a regional hub for aircraft maintenance, repair and overhaul (MRO). In June 2018, European aircraft manufacturer Airbus and Thai Airways International (THAI) have launched a new joint venture to establish a MRO facility at U-Tapao International Airport. Airbus, which first entered the market in Thailand 40 years ago, believes that the MRO sector offer enormous potential for Thailand’s aerospace business in the coming years. The joint venture is part of Thailand government’s Eastern Economic Corridor (EEC) strategy under the country’s 4.0 policy to develop innovative technology-based manufacturing and services in the country. According to Sihasak Phuangketkeow, a former Thai ambassador to France, the MRO centre is a major step forward for Thailand in the new-growth S-curve industries and its grand Thailand 4.0 strategy. The MRO facility will be the most extensive in the Asia Pacific region, supported by Thailand’s strong automobile and electronics manufacturing base. Airbus and THAI are still working on the final details of the deal to address MRO requirements. When fully operational, the MRO centre will offer heavy maintenance and line services for all widebody aircraft types. The facility will also feature the latest digital technology to analyse aircraft maintenance data, specialised repair shops for composite structures and a maintenance training centre offering courses for technical personnel from Thailand and overseas. With airlines expanding their fleets, including fast growing budget airlines such as AirAsia, many aircrafts would require maintenance and overhaul in the next few years. Cedric Post, the French Aerospace Industry Association’s deputy director for European and international affairs said that MRO will be a key piece of the aeronautics industry in ASEAN. Furthermore, Airbus and Thailand’s Civil Aviation Training Centre (CATC) have signed a Memorandum of Understanding (MoU) in January to work on projects to develop and implement maintenance training and pilot training courses in the country. 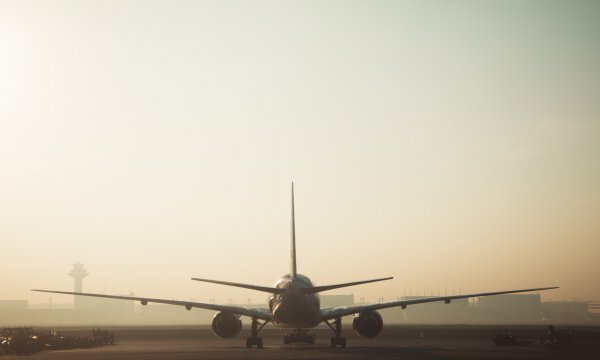 This would support the development of the country’s aviation industry by helping to ensure a steady supply of pilots, engineers and mechanics for Thailand’s airlines and MRO centres. Airbus has already begun working with CATC on basic maintenance training courses which could be expanded to additional maintenance and flight training courses for pilots. “The main challenge is to face the growth and train all required technicians and engineers. Airbus is confident that CATC, with Airbus assistance and cooperation, is able to address this challenge,” said Joost van der Heijden, Airbus head of marketing for Asia and North America. 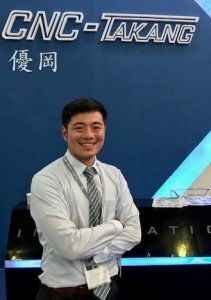 Asia Pacific Metalworking Equipment News is pleased to conduct an interview with Mr. Ryan Liu from CNC-Takang regarding his views on the current and future market outlook for Taiwan’s metalworking industry. 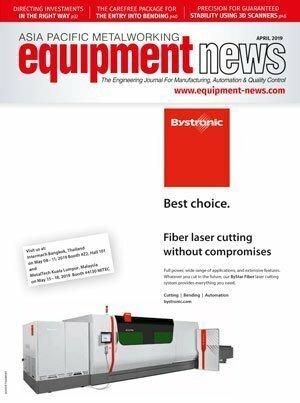 1.What has been the business focus of CNC-Takang in 2018? Originally, the company’s main markets are in Russia, India and Western Europe such as Germany. However, the company is now shifting its focus to the US and the Southeast Asian market due predominantly to currency challenges in other markets. The company also has an office in the US as strong service standards are required in order to meet market demands as well as the country’s strict regulatory requirements. Similarly, in order to meet the quality standards in our markets in the US and Europe, our products have been certified to be able to meet DIN standards. 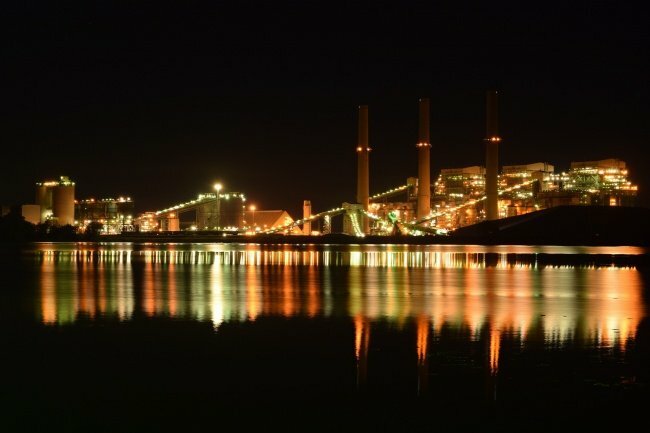 As the US economy is growing, the US market will be an area of focus in 2019. 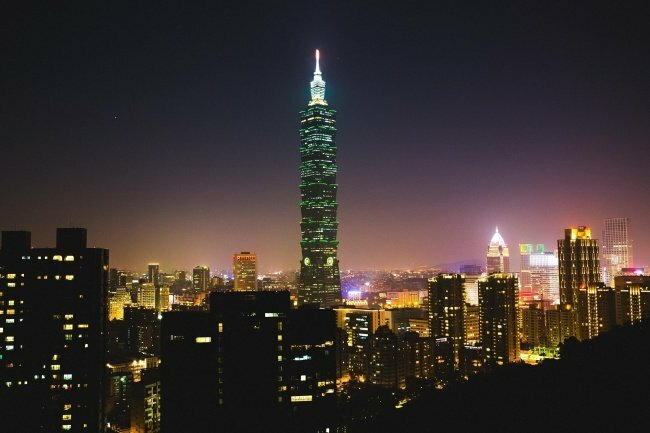 This is also because the Taiwanese market is currently experiencing limitations due to the policies by the Chinese government and local manufacturers will require more support from the Taiwanese government as well as the establishment of more trade agreements if they were to invest their growth in the local market. In the meantime, other markets that are of interest to the company are Vietnam and Thailand as both countries are experiencing growth in their economies. Due to the ongoing trade war, the Taiwanese manufacturing industry will experience a downturn at least till the first quarter of 2019. This is also because the larger Taiwanese manufacturers have factories in China and at least 30 percent of their exports are being produced from their factories in China. The show has improved every year and the location of the show in Taichung is optimal as 90 percent of the local machine building industry and its associated supporting industries are located here. METALEX 2018, a metalworking technology platform, has launched in Thailand with 9 international pavilions and 3,300 brands from 50 countries participating in the event. With a theme of “The Metalworking Metropolis”, the event is looking to develop itself as the one-stop centre for the latest technologies, solutions and know how related to metalworking in ASEAN. Additionally, by functioning as a portal for participants to learn more about the tools and partnerships for their industry 4.0 journey, the event is seeking to expand Thailand’s industrial sector towards a global standard and reach. Furthermore, as the successful integration into industry 4.0 and AI becomes increasingly indispensable for success in modern metalworking, the event has developed a segment on robotics technologies named “ROBOTX”, which is the first edition of ASEAN’s most complete suite of industrial robots. Featuring over 20 global brands as well as their associated robotics technology, this segment will be at the “ROBOTX HALL”, BITEC, from 21 to 24 November 2018 and will be co-located with METALEX 2018. Bombardier Transportation has announced that the Bangkok Mass Transit System Public Co. Ltd. (BTSC) is the previously undisclosed customer that signed a contract for 20 years of maintenance services. The services will be provided for the BOMBARDIER INNOVIA monorail 300 systems in delivery for Thailand’s first two monorail lines: the Bangkok pink and yellow lines. This order is valued at approximately 245 million euros ($287 million US). 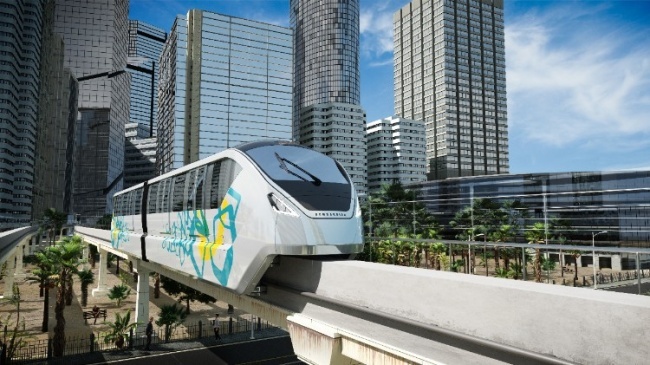 This latest contract will see Bombardier maintain the monorail trains in Bangkok that comprise of 288-cars, as well as the system’s guideway switches and depot equipment. In 2017, Bombardier signed the contracts to deliver its full turnkey INNOVIA monorail 300 systems for Bangkok’s Khae Rai to MinBuri (pink) line and Lat Phrao to Samrong (yellow) line. MANILA – Increasing tension between the USA and China has caused a diversion of manufacturing activities from China to Southeast Asia due to rising labour costs, tariffs and political instability. 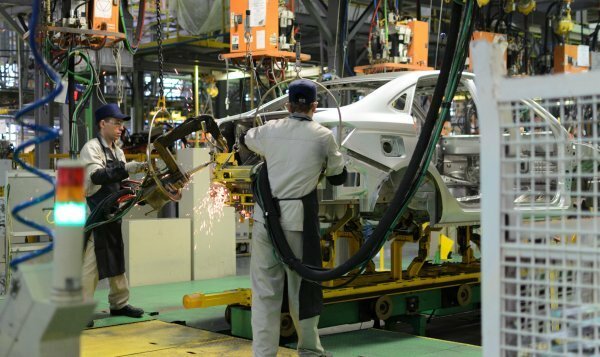 In accordance to the manufacturing production index from the Japan Center for Economic Research, five key Southeast Asian countries (Indonesia, Thailand, Malaysia, the Philippines and Singapore) have a recorded 4.5 percent increase in manufacturing for 2017 while China experienced a corresponding 15.7 percent decrease. Similarly, for the first half of 2018, the Philippines’ experienced a 13.8 percent rise in its manufacturing production index due to infrastructural initiatives from President, Rodrigo Duterte’s government. 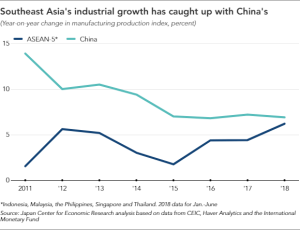 A trend that was also replicated by the 4 to 5 percent rise in manufacturing by Indonesia, Malaysia and Thailand due to increased GDPs, exports and infrastructural growth. Under newly developed China-plus-one strategies, manufacturers have been looking to tap onto manufacturing facilities in Southeast Asia before exporting to China to circumvent tariffs and increasing Chinese labour costs induced by the Trade War. A strategy that German automaker, BMW, has deployed by building some of its models in Thailand, an automotive industry hub, before exporting to China. Taiwanese power components supplier Delta Electronics also plans to re-divert its key production bases in China to Thailand by converting its Thai affiliate, Delta Electronics (Thailand), into a subsidiary while contract electronics maker, New Kinpo Group, is looking to build new facilities in the Philippines as it shifts its focus away from China. A sentiment that is shared by the group’s CEO, Simon Shen, as the company eyes a further expansion in Thailand and Malaysia due to increasing demands from clients who are looking towards Southeast Asia as a manufacturing base. This could signal a continued downward trend in China’s lead in real GDP growth although Makoto Saito, an economist at the NLI Research Institute in Japan has said “If the U.S. economic cycle enters a downward phase in 2019, Southeast Asia could face a slowdown as well”. BANGKOK: Bombardier, Thailand’s second largest train provider, will be expanding its infrastructure investments in Asia, building upon its existing 28 offices and production sites established across the region. Laurent Troger, president of Bombardier Transportation, has said: “We will maintain our market share among the top three in the ASEAN market by providing more technology, innovativeness, service, and also customise our products to serve demand in this region”. In particular, APAC’s urban mass transit and advanced railway networks have been identified as key areas of interest and this is evidenced by the company’s increasing supply of metro cars, trains and mainline systems across Asian cities such as Shanghai, Manila, Thailand and Singapore. Furthermore through the establishment of state partnerships with the State Railway of Thailand (SRT), Bombardier has been able to rapidly develop infrastructural projects such as the re-signaling of the full BTS Skytrain route and the implementation of its CITYFLO 450 communications-based train control (CBTC) solution. Currently, the company has also signed a prolific agreement with BTS Group to build two monorail systems worth more than Bt20 billion in Thailand and was awarded multiple contracts by the Singapore government to upgrade existing rail networks, provide auxiliary support and metro cars. As of the end of 2017, Bombardier Transport has reported a total revenue of US$8.5 billion. This accounts for more than half of the total reported earnings of US$16.2 billion by Bombardier Group and is expected to increase exponentially due to the company’s rapid expansion plans in Bangkok, Singapore, Vietnam, Malaysia, Philippines and Indonesia. All of which comprise significant and fast growth markets within APAC which holistically represents a dynamic growth of 2.5 percent, as reported by the the UNIFE 2010 market study. THAILAND: In lieu of the current demands of “Thailand 4.0”, Hitachi has established a Southeast Asian Lumada Centre in the Amata City Chonburi Industrial Estate in Chonburi, Thailand. The centre’s new IoT platform, also known as ‘Lumada’, would not only offer solutions for customers in Thailand but also support growth in the Eastern Economic Corridor (EEC) by integrating successful solutions from Asian countries such as Japan and China as well as the United States of America. Similarly, in order to offer customised business solutions, Lumada would also be connecting and analysing customers’ data and engaging in co-creative opportunities with partners in the areas of digital technologies such as big data analytics, artificial intelligence (AI) and information and communication technology (ICT). Further reinforcing Hitachi’s commitment towards supporting Thailand’s push for a digital economy, Toshiaki Higashihara, president & CEO of Hitachi, Ltd., has said: “Hitachi regards Thailand as an important market – the country represents the largest share of our business operations across the ASEAN market. We are proud to launch Lumada Center Southeast Asia, as part of our efforts to support Thailand’s vision to create a sustainable, value-based economy that is driven by innovation, technology and creativity”. Looking into the future, Hitachi aims to utilise Lumada’s Operational Technology and Information Technology to achieve optimal results in manufacturing processes and seeks to implement business analysis and service ideation, to create viable business solutions in countries across ASEAN.